A soap-free cleanser suitable for normal to combination skin. Formulated for normal to combination sensitive skin. Gentle moisturizers help keep skin soft and smooth. Avene thermal spring water to soothe and soften. Soap-free formula gently cleanses the skin. Eliminates impurities and make-up. Instructions for use: Lather and rinse off with water. 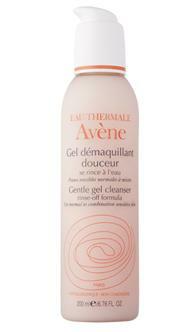 Pat skin dry gently and complete cleansing process by misting skin with Avene thermal spring water. All Eau Thermale Avene products are formulated with Avene thermal spring water and are hypoallergenic and non-comedogenic.